A large part of the slowdown in the Spanish economy in 2018 can be attributed to the loss of momentum in exports, together with the continuing strength of imports. CaixaBank Research wonder whether this export slowdown is temporary or not. In previous articles, they have seen two trends that give a reason to think positively, as well as another less optimistic trend: on the one hand, in absolute terms, both the number of companies that are starting to export and the number of those exporters that become established (so-called regular exporters, which have been exporting for four years in a row) are steadily increasing. On the other hand, however, the relative proportion of new exporters that become regular exporters has recently fallen. In this article, the analysts at the firm studies how strong these exporters are, using another measure: the geographical diversity of the destinations to which they export. This is a reflection of each exporter’s competitive advantage (greater competitiveness should allow a company to export to more markets), as well as its capacity for survival (greater diversification helps to contain the impact of poor performance in specific economies). Just as in ancient times there was talk of the seven seas, today we can distinguish seven distinct geographical regions in the world: the five continents, but disaggregating Asia into the Middle East and the rest (mostly the Far East), and America into North America and Latin America. The economic cycles of these seven regions are less synchronised than those of the countries within a particular region. Therefore, a measure of diversification between regions probably provides a better reflection of exporters’ degree of protection against idiosyncratic phenomena occurring in each destination. A first positive result is that the geographical diversification of regular exporters shows an upward trend: each regular exporter exported to almost 1.8 regions in 2017, higher than the 1.6 of 2009. Secondly, regular exporters have a greater geographical diversification than the average for all exporters (which stood at 1.6 in 2017). In addition, this gap between regular and non-regular exporters has grown in recent years, suggesting that the regular exporters are in an increasingly strong position. New exporters, meanwhile, naturally begin by exporting to a small number of destinations. However, unlike the regular exporters, the geographical diversity of non-regular exporters has declined in recent years. On average, each exporter exported to 4.8 European countries in 2017, higher than the 4.2 of 2009), whereas diversity decreases outside Europe. In the case of Africa and East Asia, the decline in diversity is due to the increasing importance of Morocco and China-Hong Kong, destinations which in 2017 represented 45% and 42% of the total exports to their respective regions. This is not the case in Latin America, the destination of many of the new export companies. Here, the relative importance of the largest importer (Mexico, representing 30% of the total) shows a decline, and the diversity of destinations is very low (out of a total of five main countries in the region, each exporter exports to between 1.1 and 1.5 countries on average, in the case of regular exporters). 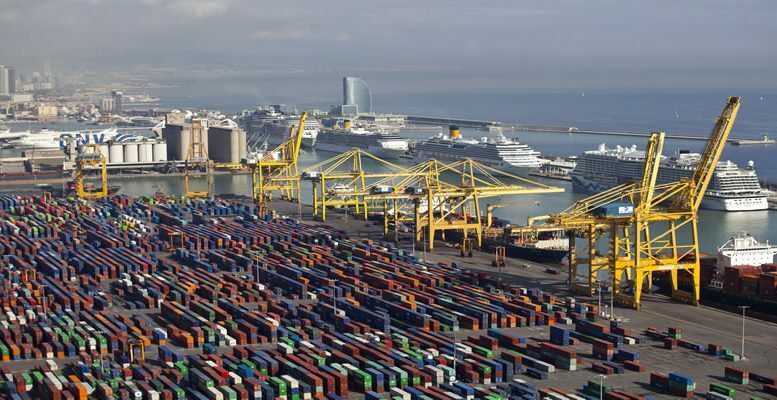 In short, in recent years it has been observed a certain polarisation among Spanish exporters. On the one hand, there is an element of strength, sustained by a growing number of regular exporters and an increasing geographical diversity in terms of destinations. On the other hand, among all other exporters many new ones that are poorly diversified, which could limit their chances of survival in the export market.